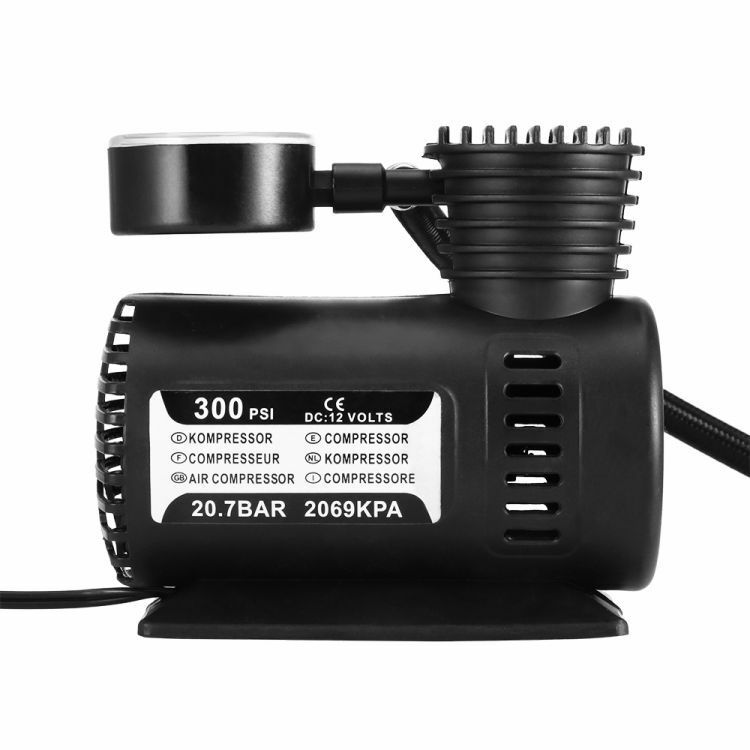 This air compressor enables to inflate a standard mid-sized car tire from 0~32PSI (0-220KPA) in 3-5 minutes. Makes inflating easier and convenient. It makes inflating low air tires and flat tires in emergency easier and more convenient. Pressure gauge display of the air compressor unit: PSI, BAR, KPA, KG/CM2. Hose Length: Approx. 38cm / 15"